The Folacomp range was specifically developed for use underneath Folacoat coating plates and offers a wide range of thicknesses of underpacking containing a high percentage of compressible components. The content of smash-sensitive fabrics is considerably reduced in comparison with conventional compressible rubber underpacking blankets. The large number of thicknesses available makes it possible to use just one layer of underpacking in combination with the respective Folacoat coating plate. Packings made up of several sheets of paper belong to the past. 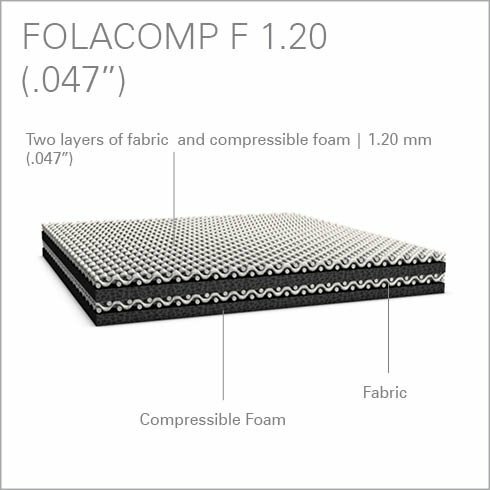 The Folacomp F is a non-adhesive version of our flexible underpacking and consists of several layers of rapid-recovery foam and fabric. 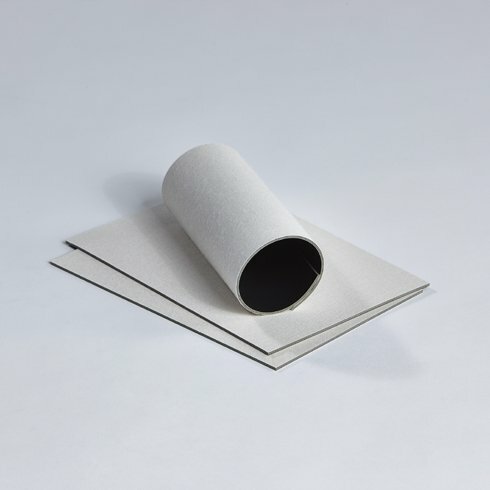 Use as underlay paper sheets or polyester underpacking foils. For best results we recommend to contact the black foam to the cylinder's surface. The material tends to sink about 0.02 mm (.0008") after a period of about 5000 printed sheets. If additional underpacking is necessary, place between cylinder and black foam.